It's very hard to miss with complementary colors, and the contrast between this blue-and-white china and the vibrant color of juicy oranges on a classic Royal Doulton Old Country Roses plate comes alive against the white lace beneath. Who says tea has to be served with baked goods, or even sandwiches? 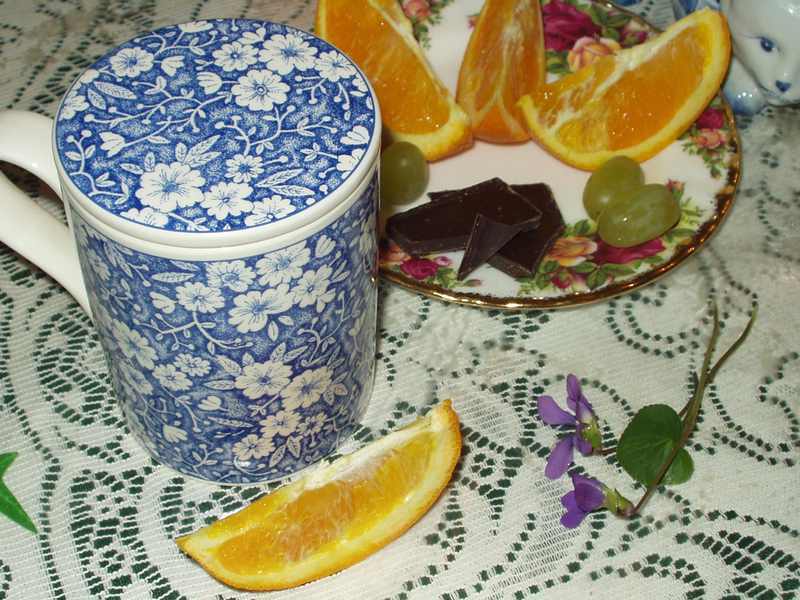 A light, refreshing break with some fresh orange slices and grapes is just the thing when you only want "a little something" with your tea. Oh yes - and lest we be too good, we mustn't pass up a chance to have a taste of dark chocolate!